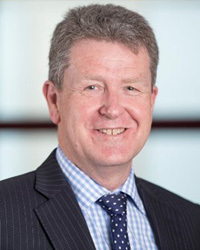 Chris Welch is a Fellow of the New Zealand Institute of Chartered Accountants and has been working in the UK since 1997. For 11 years, he was the Finance Director of the Association of British Insurers (the ABI), a major City institution. He is now the Head of Finance of the International Psychoanalytical Association (IPA) – the London based global membership body for the practitioners of Freudian Psychoanalysis. Chris is also a Barrister and Solicitor of the High Court of New Zealand. Chris and his wife have owned a property on the East Cliff since 2007.